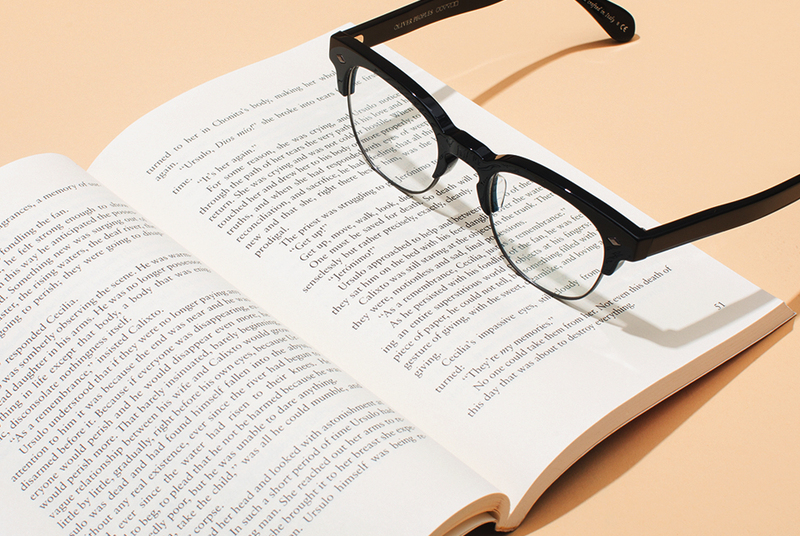 Two reader roundups - one for reading and ones that protect your sight. Yes, we’re back with more readers. And while we truly believe it’s impossible to have too many pairs, this time we brought something a little different to the party. We’re been learning a lot about Blue Light around the Get In The Groove headquarters lately. If you haven’t been following along, then you should check out our article with Gigi Mortimer, founder of EyeJust. All of our beloved digital devices emit blue light. Every time you shoot off a text, respond to an email, or read on your iPad you’re exposed to a significant amount of blue light rays. And that makes it harder to focus. With how much time we all spend on our computers, cell phones, and tablets, doctors are concerned about what this will do to our eyesight. You probably already know what it can do to eyesight: digital eye strain. It’s that feeling of fuzziness you get from looking at any screen for too long. That’s wear blue light blockers come in. Companies have started making readers and prescription glasses that also block blue light. By cutting down on blue light, companies claim it will help with any type of headaches or eye strain, and even help you go to sleep easier. Since the technology is pretty new, there aren’t quite as many options. But we took it upon ourselves to find you the chicest, most wearable ones. And of course the chicest, most wearable regular readers are here too.